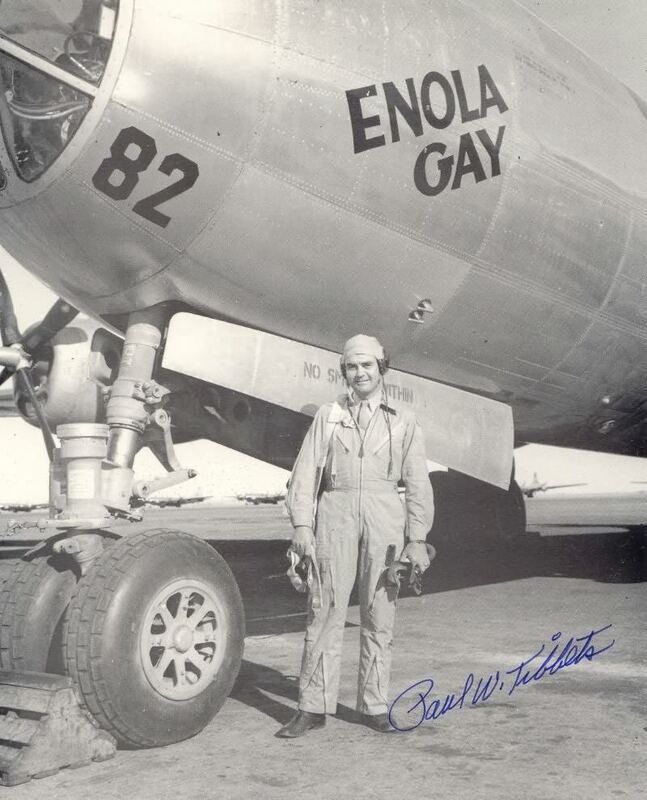 On August 6, 1945, then-Colonel Tibbets piloted the Enola Gay, the U.S. B-29 aircraft that dropped the “Little Boy” atomic bomb over the city of Hiroshima, Japan. The Hiroshima mission made Tibbets a household name, and a major figure in the enduring debate over the decision to drop the atomic bombs. 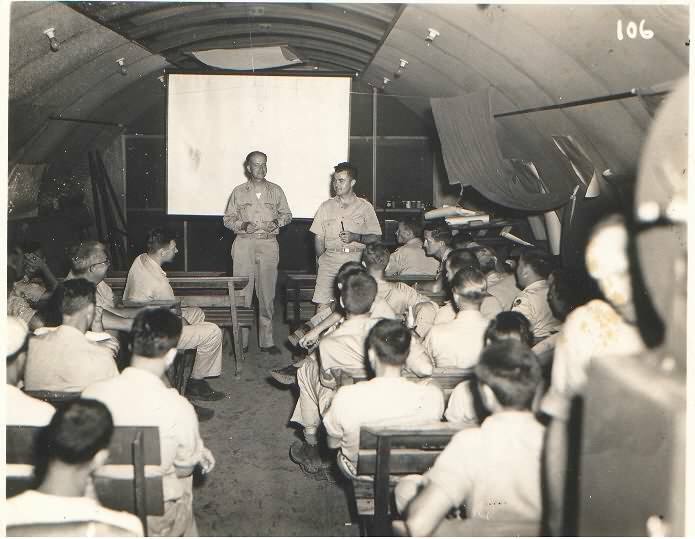 In the late 1980s, Gen. Tibbets co-produced a documentary with the Buckeye Aviation Book Company, “General Paul Tibbets: Reflections on Hiroshima.” Joseph Papalia, official historian of the 509th Composite Group, recently shared a copy of the documentary with the Atomic Heritage Foundation, along with more than a dozen other interviews and oral histories from the 509th Composite Group Collection. You can watch “Reflections on Hiroshima” below. Tibbets, who came from a family of doctors, initially set his sights on the medical profession. He recalled, “I truly believed that I wanted to be a doctor and I should be a doctor, but the urge to fly airplanes overcame me.” After receiving basic flight training at Randolph Field in San Antonio, Texas in 1937, Tibbets rapidly rose through the ranks. In 1942, he was named commanding officer of the 340th Bombardment Squadron of the 97th Bombardment Group. He led the first American daylight heavy bomber mission in Occupied France in August 1942, and quickly earned a reputation as one of the best pilots in the US Army Air Force. 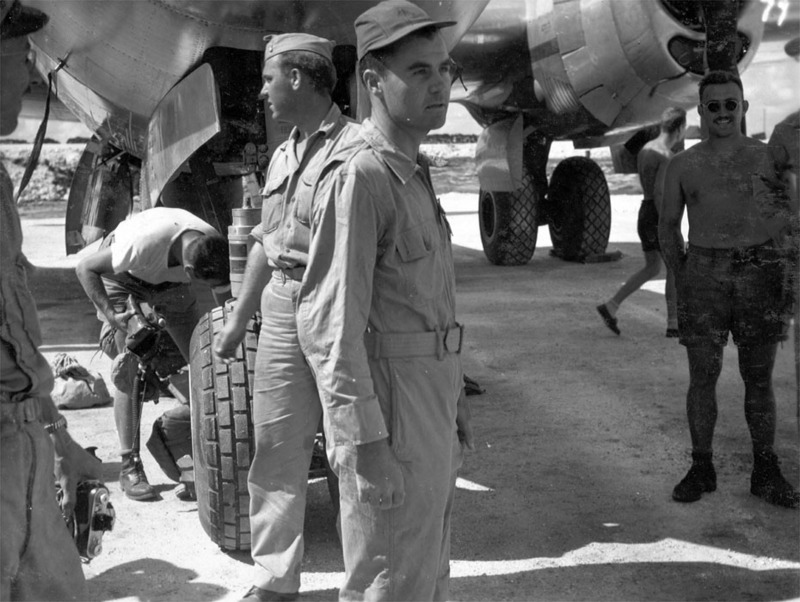 Tibbets returned to the United States in February 1943 to assist with the development of the B-29 Superfortress bomber, and accumulated more than a year of flying time on B-29s. On September 1, 1944, he was briefed on the Manhattan Project. 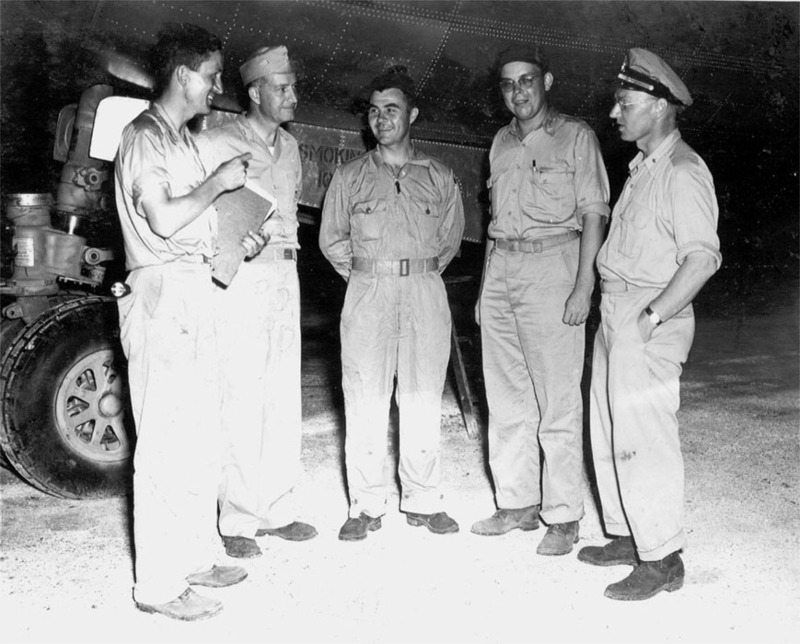 Tibbets was selected to lead the 509th Composite Group, an organization of about 1,800 men tasked with dropping the atomic bomb on Japan. To prepare for the mission, Tibbets and the 509th Composite Group trained extensively at Wendover Air Force Base in Wendover, Utah. Flight crews practiced dropping large dummy “pumpkin” bombs modeled after the shape and size of the atomic bombs. Meanwhile, engineers with the Manhattan Project’s classified “Silverplate” program developed a modified version of the B-29 bomber capable of loading, carrying, and dropping the heavy “Fat Man” plutonium and “Little Boy” uranium bombs. 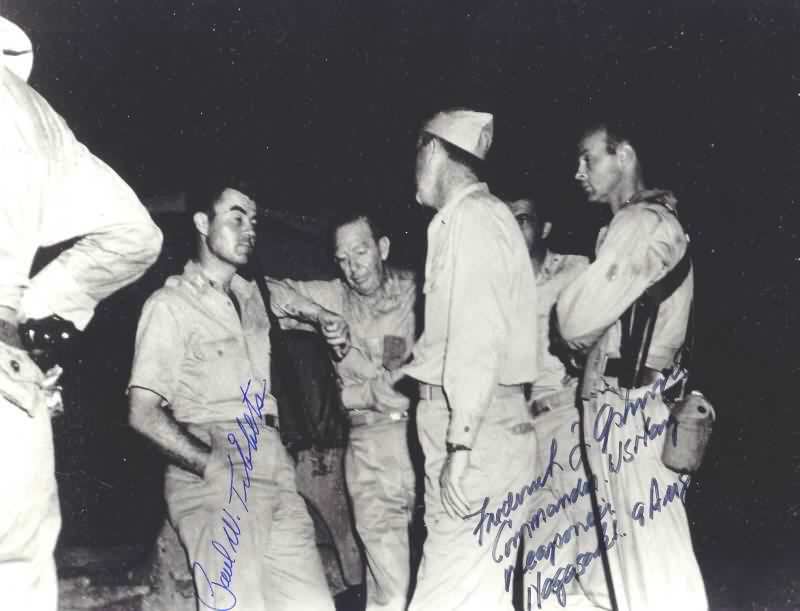 Whenever he needed to obtain materiel for the top-secret mission, Tibbets recalled a superior officer’s instructions: “Send in a requisition for what you want with the code word ‘Silverplate.’ Any ‘Silverplate’ requisition would be honored without question.” Using “Silverplate” as his code word, Tibbets was able to acquire essentially anything he needed. I made that turn and leveled that airplane out. 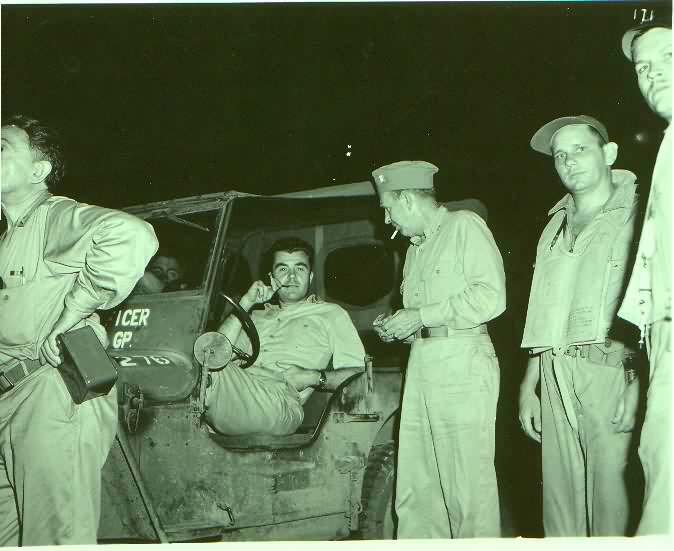 My tail gunner, sitting in the back, says, “Here it comes,” meaning, “Here comes the shock wave,” and that’s what we wanted. 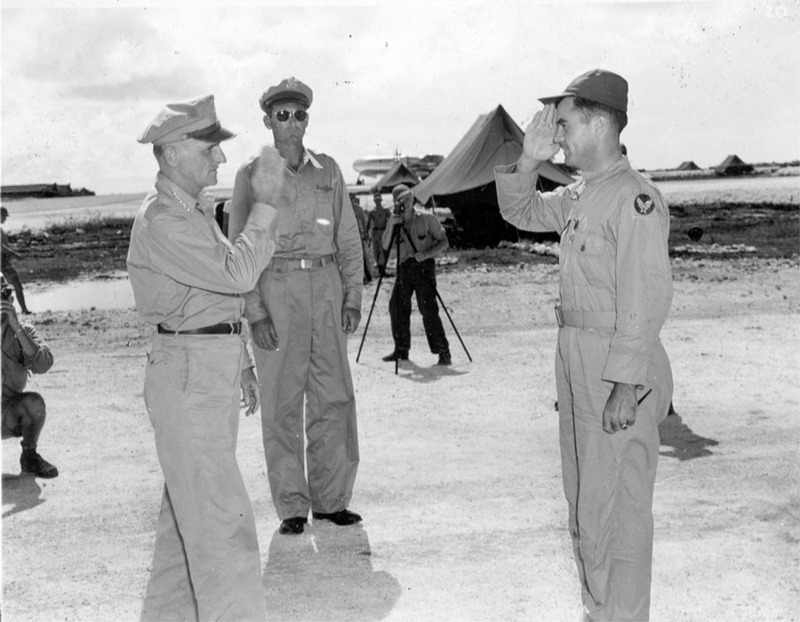 Immediately after returning to Tinian, Tibbets was awarded the Distinguished Service Cross, the second highest decoration the U.S. Army can bestow for exceptional valor, by Major General Carl Spaatz. 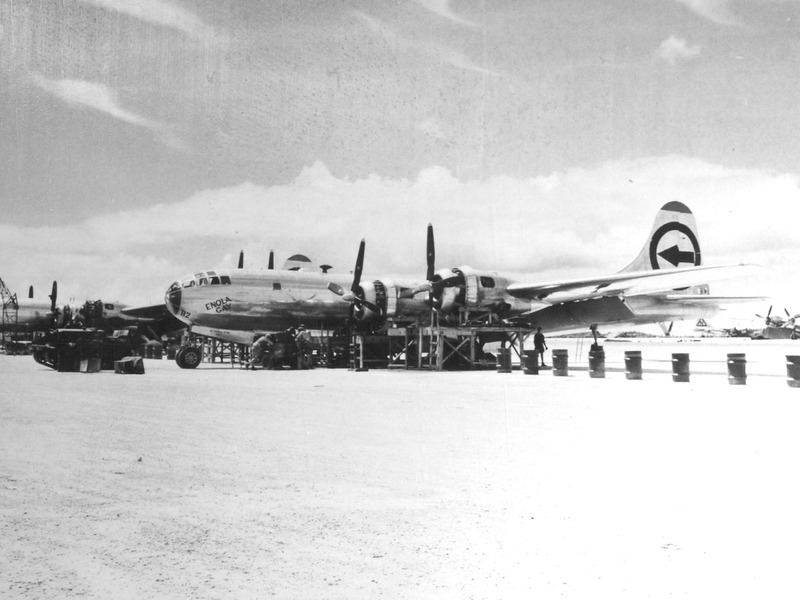 You can watch video of the Enola Gay’s departure and return to Tinian, as well as of the final preparations of “Little Boy” and “Fat Man,” on AHF’s YouTube channel. Three days later, the US used the “Fat Man” plutonium bomb on the city of Nagasaki. On August 14, 1945, Japan surrendered, bringing World War II to a close. General Tibbets’ role in the bombing of Hiroshima made him a polarizing figure. In the United States, Tibbets and his family became instant celebrities, and many Americans considered him a hero for his role in ending the war. On other hand, his detractors pointed to the human toll caused by the Hiroshima bomb. Between 90,000 and 166,000 people are believed to have died from the bomb in the four-month period following the explosion. Perhaps more than 200,000 people were killed directly or indirectly by the bomb’s effects, including from burns, radiation sickness, and cancer. For more information on the bombings, click here; for information on their survivors, known as hibakusha, click here. 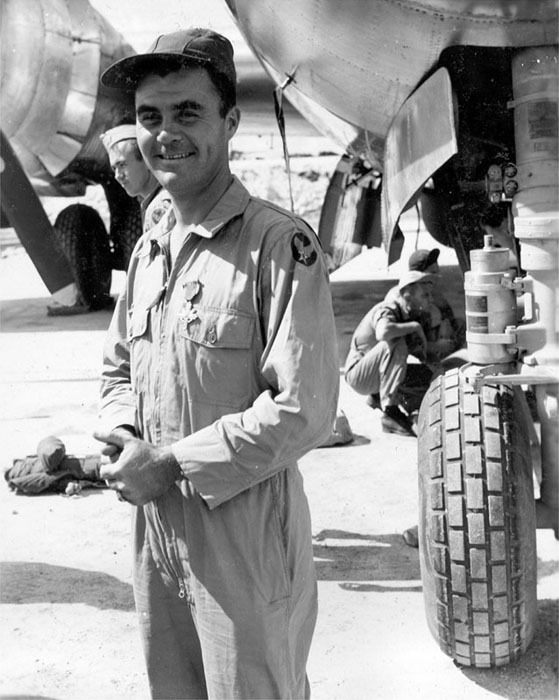 Tibbets participated as technical adviser during the Operation Crossroads nuclear tests in 1946. He later served as commander of the Sixth Air Division, and was promoted to brigadier general. 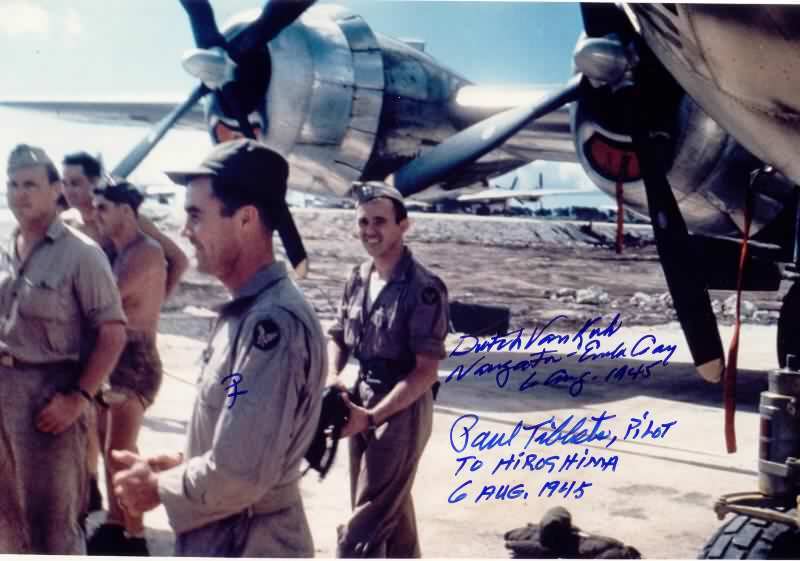 General Tibbets retired from the US Air Force in 1966. In 1976, he received criticism for re-enacting the bombing at an airshow in Texas, which created an international incident between the U.S. and Japan. 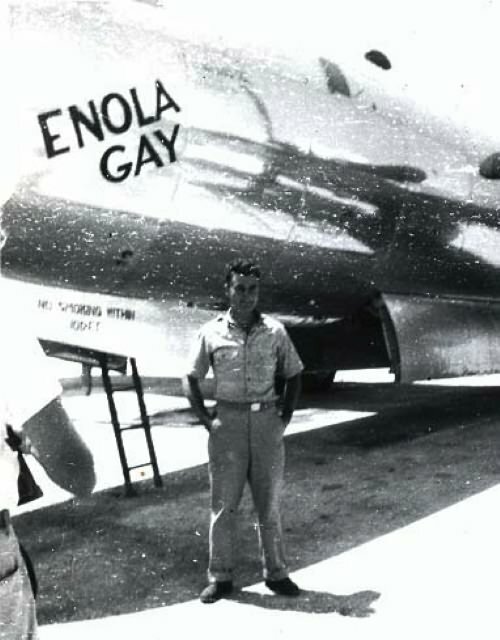 Tibbets died on November 1, 2007, at the age of 92. Tibbets remains a controversial figure today. His recollections provide a dramatic firsthand account of the day the atomic bomb was first used in warfare, changing the nature of human conflict forever. 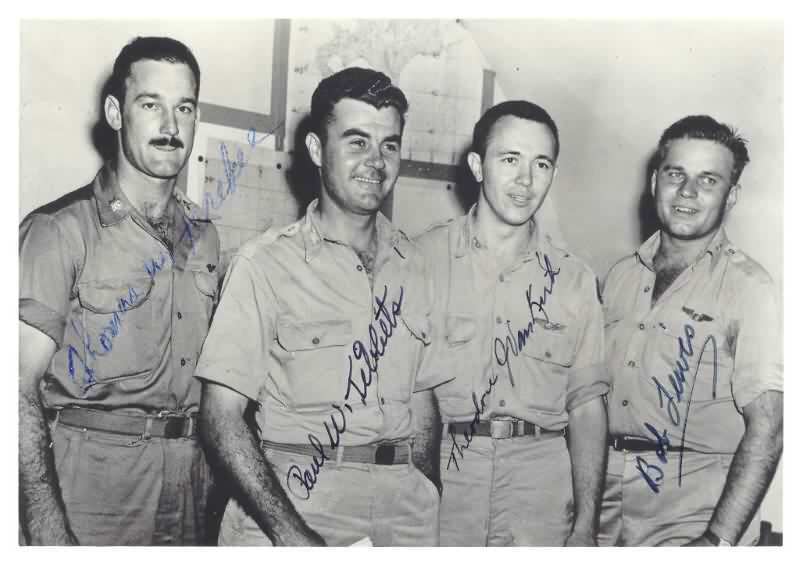 To listen to other interviews with members of the 509th Composite Group, visit the Voices of the Manhattan Project website. 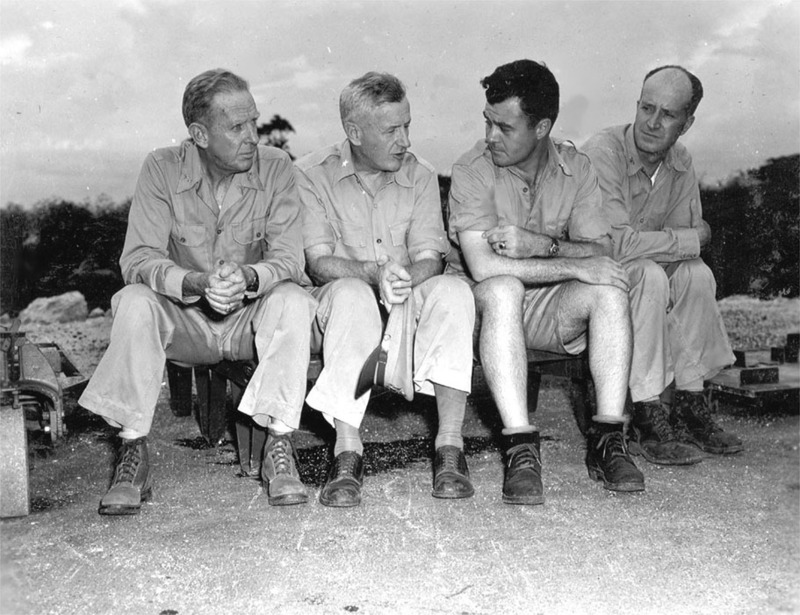 Paul Tibbets with other members of the 509th. 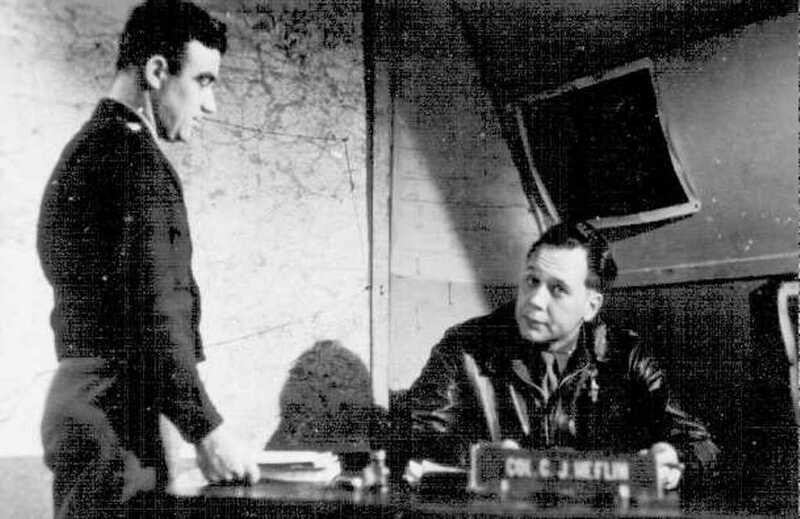 Frederick Ashworth and Paul Tibbets prior to takeoff. Courtesy of the Joseph Papalia Collection. 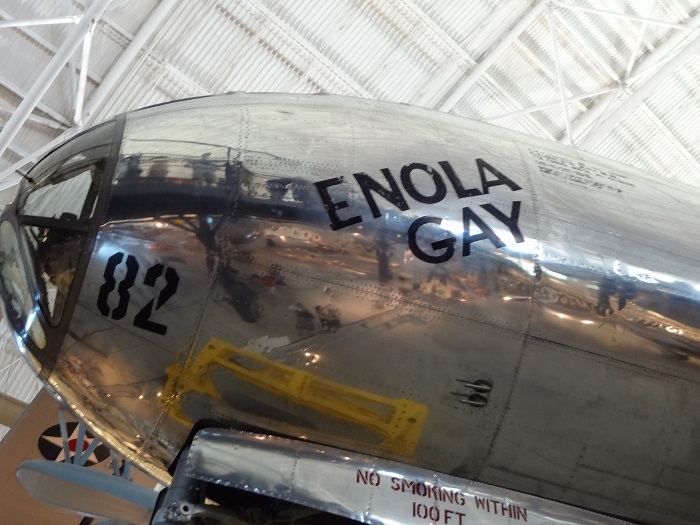 The Enola Gay today on display at the National Air and Space Museum Udvar-Hazy Center.